I always come across incredible writers, storytellers or people with their spiritual feet sunk deep in God’s truth, but it’s special when I come across someone like Allisen Souza who does all of these at the same time. 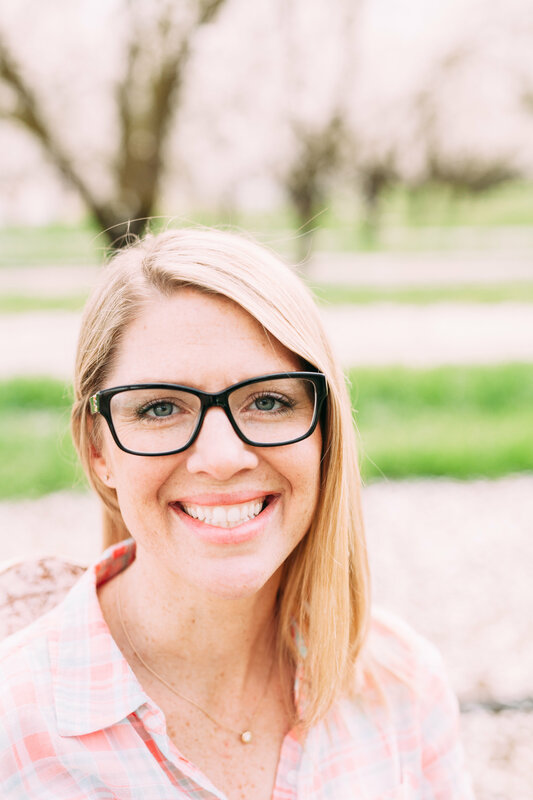 When I found Allisen’s blog, I was hooked with her authentic writing circling life with young kids, navigating the findings of a severe birth defect during an ultrasound and the complete destruction of their family business. I literally sat and consumed her hope-filled words like coffee in the morning. I hope you enjoy her words below and check out more of her work at Raising Honor. I coughed as I held the baby close on my hip and let it sting my eyes and lungs. Onlookers crowded around me and looked questioningly at my husband and I as we stood there on Main Street’s sidewalk, holding our three small children. “It’s ok,” I told myself “we won’t be here long.” We were just here for a moment; enough time to see to the smouldering remains of my husband’s studio. An abrupt funeral for a business we had just started a mere year and a half ago. As we turned away from the horrific sight of the charred block of businesses and headed for the car, I expected myself to feel tumultuous sadness. Sadness for our town, sadness for our family, sadness for my husband losing almost everything he had worked for. Instead I felt surprisingly calm. The sadness would come later. Is this peace that I’m feeling? I wondered silently to myself as I buckled the kids into the car. I was hoping that what I was experiencing was tranquility rather than numbness. Over the past year I had felt this way so many times that I was beginning to have a hard time telling the difference. I had felt a nervous calm the day that the doctor told us of the birth defect that they found on the ultrasound. I had felt flutters of anticipation, but wore a smile when they medevaced me to San Francisco because of preterm labor. I had been surprisingly even keeled when they told me that I had preeclampsia, and that I would be in the hospital for weeks. And now this. Our business was gone, and I felt nothing like I thought I was supposed to feel. In the weeks that would follow, a myriad of emotions would bubble their way to the surface of my heart. But that thing I couldn’t name, that had taken peaceful residence in my heart the day I drove my family home to an unknown and reshaped life, was none other than joy. At no other time in my life could joy in my circumstances have been a more satisfying and reassuring reality. It took an extreme loss to make me realize that real joy is not an emotion, rather it is an approach to life. As a Christian, it is knowing that when you lose it all, you never really lose it all. You always have Jesus, and he is enough. I used to believe that joy was the same as happiness, and though happiness often accompanies it, I now see that joy is much more akin to faith than any feeling I associate with it. I have been through enough trials to know that you can have it even when your life is brimming with sadness and the world is falling apart around you. Joy is something that I pray for daily, and it is what has allowed me to face the hardest year of my life with peace. It has really been an amazing discovery for me to find that true joy comes when we believe that God is bigger than our circumstances. It is real, it is beautiful, and it is available to everyone. It appears in our hearts when we are glad for the plan God has for our life, even if all we can see are ashes.